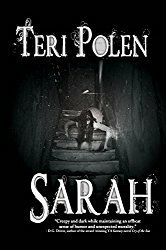 Horror books aren’t just for adults – the tiny humans also enjoy thrills and chills. The Goosebumps series by R.L. Stine has been popular for years, and author Neil Gaiman has penned a few. Today’s guest is the author of a veritable library of children’s books and, as a zombie fan, her featured title is near and dear to my heart. 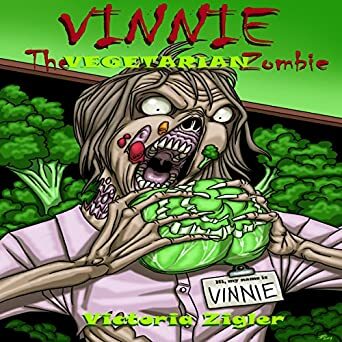 Welcome Victoria Zigler and her book, Vinnie the Vegetarian Zombie! Vampires, ghosts, werewolves, or zombies – which would you least want to meet in a dark alley? Vampires and werewolves would be potentially tough to beat, and I know from experience that blood loss isn’t fun to deal with, but being turned in to either of those wouldn’t be too bad. How dangerous a ghost is varies, so it’s hard to say whether I could just ignore it and it would go away, have a pleasant chat with it, or would end up becoming its victim (I wouldn’t mind the first two, but option three wouldn’t be much fun for me). Zombies, on the other hand, would potentially be easier to beat, unless I was overwhelmed, but I’d really hate to end up becoming a zombie. I could deal with becoming any of the other three. But, for some reason, I really hate the thought of becoming a zombie. I think I have to go with the zombie. My survival rate in any of the cases is questionable, but at least it wouldn’t be too bad if I ended up joining the ranks of the vampires, ghosts, or werewolves. So, I’d least like to meet a zombie in a dark alley. Or even a light alley, to be honest. If you were paid to spend the night in a haunted house, would you do it? Yeah… Totally! 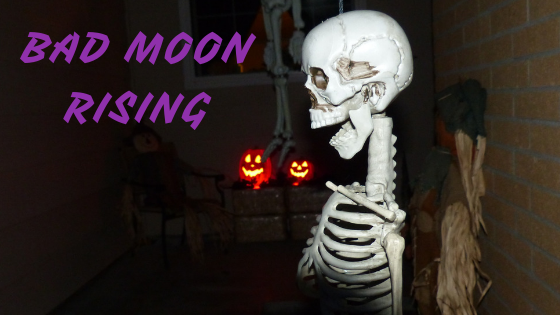 Check out a haunted house, and make some extra money at the same time… Count me in! In a zombie apocalypse, what is your weapon of choice? For me personally? Knives. Knives are a must. I know it means getting close, which could be risky. But I’ve got more chance of aiming right with a knife, and knowing I’ve done so. Plus, you don’t have to take time to reload, hope you don’t run out of ammo before you run out of zombies, etc, which can be a potential problem for things like guns and bows. Although, having said that, I wouldn’t mind also having a bow and arrows too. I want a really good knife if I can only pick one weapon though. Sometimes the characters will be my own pets, in which case I know them pretty well by the time I’m writing their story, so nothing needs to be done to develop their characters. In those cases, I sit down with an idea of what the story will be about, and start writing, letting the plot develop as I write. For example, “Where’s Noodles?” – the story I wrote and published earlier this year about our Westie, Lilie – was written with only two things in my mind when I sat down to write it: it was about our Lilie, and was a story about how upset she got when she couldn’t find her current favorite toy. Other times the character will be one my hubby made as a potential unusual character for a roleplaying game. My faerie dragons are perfect examples of that situation. Hubby enjoys using the character creation systems and coming up with characters, whether he ends up playing the characters or not, so made me a couple of faerie dragons – which I named Caia and Draco – after I said it would be cool to play one. Then I said I enjoyed writing about them, and wanted to do another faerie dragon story, especially since I was actually getting requests for more faerie dragons from people who read my book “Jinx And The Faerie Dragons” (where you can read Caia and Draco’s story). So he created Zeena. I was the one who named her again though. He likes when I name the characters, especially since I have a bit of an obsession with names, so there’s usually some kind of meaning behind it that makes it fit the character. Anyway, it was his giving her a mixture of abilities that covered the various elements that sparked the idea for my “Zeena Dragon Fae” series. Again though, in this situation the plot will develop as I write. I just have the character, complete with a list of their abilities and how they work, and an idea of what the story’s about. Then I sit down and write it. Other times I’ll just sit down and write, with only a vague idea in my head of who or what I’m writing about, and let both character and plot develop as I write. As you may have noticed, the plot always just develops as I write. I’m really no good at outlining plots, so letting that develop during the actual writing process works best for me. I know plenty of people say otherwise, but I don’t think you need more than a way to write, and a way to check spelling, grammar, etc. Whether you write with a pen or pencil in a fancy notebook, write with an iPad or other tablet, or use a computer, you have what you need to do your first draft. After that, you just need access to a dictionary, thesaurus, and some kind of grammar checking option, whether it’s books on the subject, the internet, or whatever. As long as you have those things, you don’t need anything else. At least, that’s my opinion. What is this schedule you speak of? Seriously! I’m no good with schedules. I’ve tried, but they never stick for long. I have an unpredictable sleeping pattern, which means my writing time changes depending on when I sleep and how long for in general. Add to that a young dog, which is kind of like having a toddler, since there’s no way I can do anything that demands a lot of my attention when she isn’t napping. Throw in phone calls, people at the door, and all those other things that happen because people assume being at home all day automatically means you’re free all day, because apparently writing and publishing books isn’t work to most people… You get the point, I’m sure. What it all boils down to is that I write when I can, based on when other things allow me to, but it somehow all works out in the end. Well, most of the time, anyhow, since this year has been a bad one for writing time, due to some life stuff I’ve been dealing with. 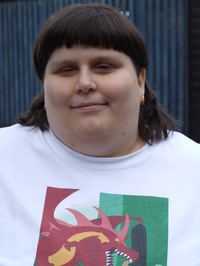 When Vinnie the zombie smashes his way in to the fruit and vegetable shop where six year old Annie is waiting in hiding for her Mother to come back for her, Annie isn’t sure what to do. But Vinnie isn’t like other zombies. A vegetarian in life, it looks like Vinnie may also be one in death, and it may not be Annie who’s in danger after all. Love this! I would totally read this with my kiddo! You should, Shannon – it’s perfect for this time of year and looks adorable (if zombies can be considered adorable). A vegetarian zombie is a cool concept. All the best, Victoria. I’m thinking movie rights, Staci. An original concept. Loved your answers, Tori. Love the idea of a vegetarian zombie. I agree, John – so cool. Thanks, John! I got the idea from a conversation with my brother about whether a vegetarian would remain one if they became a zombie. I would guess yes. One could still eat the brains out of a squash. I loved Tori’s answer about Vampires, werewolves, ghosts, and zombies. Definitely a unique way of looking at them, LOL. The book sounds awesome for kids. All the best! I”d have to agree with her, Mae – I’d least want to be a zombie also. Such a fun concept. Hope you sell a million of them. You and Vinnie are welcome any time, Tori! I am very pleased to learn about this book of Victoria’s, Teri. Hoping over to Amazon now. This is one I’d have definitely read to my boys when they were younger – thanks for dropping by, Robbie! 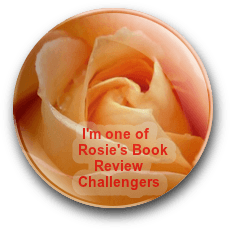 So did I, Colleen – I love doing this type of interview to learn more about authors. Awesome – off to visit you! I love the idea of a zombie being a vegetarian. What a great character you’ve created there, Tori; one I’ve never heard of before. It does make you wonder if a vegetarian who was bitten by a zombie would then turn to crave human flesh. Congratulation on a unique and original character. I wish you much success with Vinnie and with all your other books. Maybe The Walking Dead will take a hint from Tori’s book, add a vegetarian character, then see what happens when they turn. I think you’re on to something here, Hugh.